Exposed concrete floor finishes are a large part of the sustainable future. The combination of colours and textures for concrete surfaces provides an almost limitless expression of creativity for architects and long term durability for owners. Please review our presentation on architectural finishes and materials library for further information. Please review on-line information on polished concrete, coloured concrete and green floor solutions. We also have some online presentations which we welcome you to review. If you would like us to make a presentation to your company, please feel free to call or request a seminar and we will contact you to arrange a date. The weakest link in high quality results is often workmanship. CFCA members are quality leaders and your specification of “members of the Concrete Floor Contractors Association” helps us to ensure the highest quality work on your projects and to improve the quality of the entire concrete floor industry across Canada. 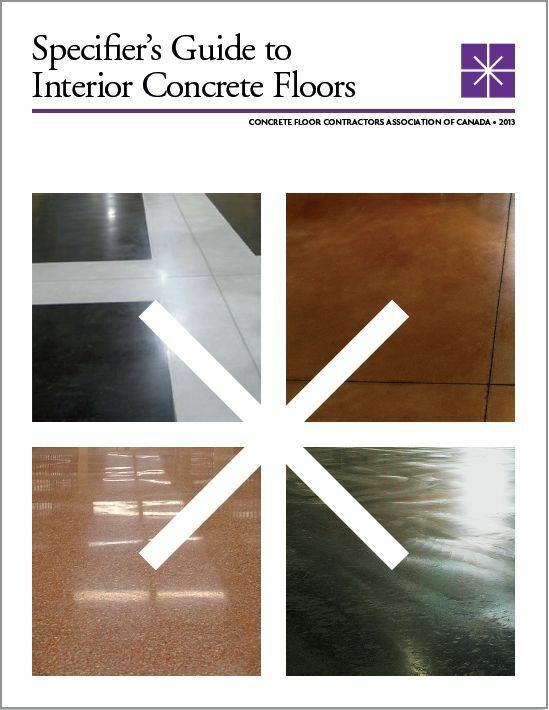 There are many exciting opportunities to specify a variety of architectural finishes for concrete floors and we wish to assist you in the production of high quality finished work. We welcome your questions and concerns either by e-mail or telephone (905-582-9825). The CFCA is a voluntary membership not-for-profit organization of quality oriented concrete floor contractors and materials suppliers. The specified pre-qualification of CFCA members promotes a focus on safety, quality and integrity by supporting CFCA safety, technical, education, quality planning and ethics programs.